TTP Ventus manufactures the Disc Pump™ range of award-winning micropumps which are enabling innovation across sectors from medical and life sciences, to environmental and defence. Our pumps deliver high pressure and flow, silent operation, rapid response time, and ultra-smooth flow – all in a tiny package. Operating at ultrasonic frequencies above the limit of human hearing, Disc Pump™ is ideally suited to medical, therapeutic and consumer applications where discretion is key. With each high-frequency cycle of the pump displacing mere microlitres, the pressure pulsation observed with traditional pumps is virtually eliminated, truly enhancing gas analysis applications where measurement sensitivity is critical. Delivering a full-scale response in a matter of milliseconds, Disc Pump™ can respond to the most challenging real-time control requirements. Weighing in at only 5g (< 1/5 oz) and with a volume of just 7 cm3 (<0.5 in3), Disc Pump’s light weight and small form-factor unlocks the next generation of wearable products. With full and accurate control flexibility, Disc Pump™ can hold pressure and flow set points with unrivalled precision -- often better than 0.1%. 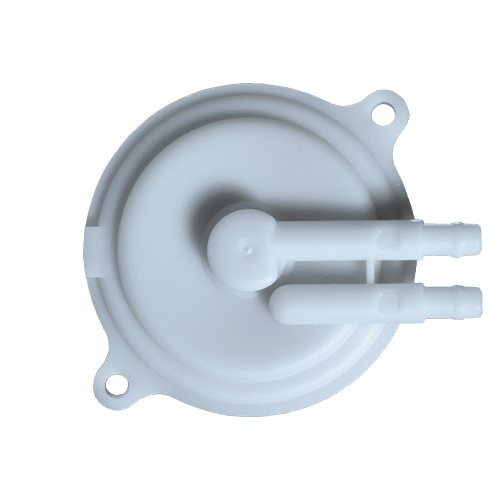 Disc Pump™ is used in applications across the Medical, Gas Environmental, Life Sciences and Industrial sectors. Our customers are able to grow existing markets – and create entirely new ones – because we enable wearability, portability, and simplicity in product design.